In this post we explore Healing With Quartz Crystals and the Quartz Crystals Healing Properties. Quartz is possibly the most well known, most loved and most often used of all the healing crystals. 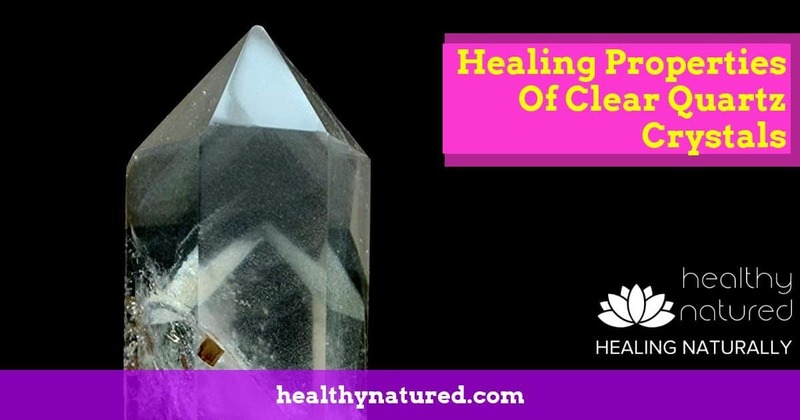 Find out why Clear Quartz is such an amazing crystal, the reason is it known as a Master Healer and why it is a “must have” crystal in your home and in your healing kit. Clear Quartz is the most versatile, popular and probably the most well known stone of all the healing crystals. This is largely because of it’s incredible healing powers and because it can be used to treat any condition. Quartz Crystals healing powers will work with all physical illness, mental and emotional imbalance as well as spiritual wellness and protection. The clear quartz crystal is a stone with radiance meaning it amplifies energy and intention whilst also protecting against negativity and low energy forms. It is a crystal that is used widely for the relief of pain (both physical and psychic) and aids attunement to higher energy, supports enlightenment and a connection to the divine. Clear Quartz Healing Powers are the most flexible of all the healing stones. Clear Quartz aids phsyical pain and illness, emotional balance and spiritual enlightenment and protection. Due to the vibrational levels of clear quartz being closely aligned to humans it is a natural choice for all types of healing work. 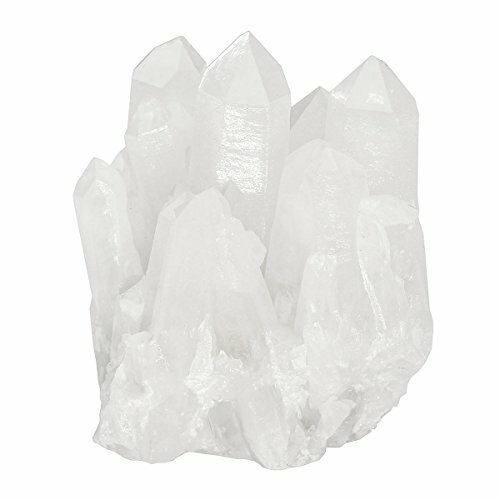 It must be noted that due to the similarity in vibration between this stone and humans the clear quartz crystals healing powers mean it absorbs energies in the environment very easily so it is important that you clear and cleanse the crystals on a regular basis and most definitely after each healing session. Quartz And Physical Healing Energies. Clear Quartz is known as a Master Healing Crystal. This is because the clear quartz can be used to treat all chakras, and all physical conditions. Clear Quartz is best known for Master Healing properties that stimulate the immune and circulatory systems. When these bodily systems are stimulated the quartz enhances the flow of energy, and clears any energetic blockages within our physical body. This aligns our chakras and brings us into energetic balance. Energetic balance enables healing to occur. 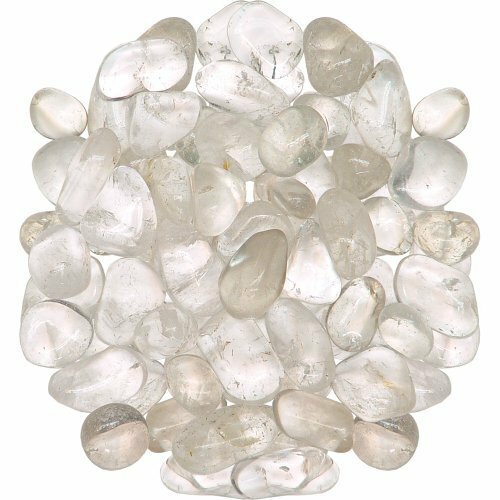 Specifically Clear Quartz is excellent for treating migraine headaches, vertigo, dizziness, motion sickness, and any conditions involving the metabolism. A Quartz Crystal elixir is amazing when taken internally. 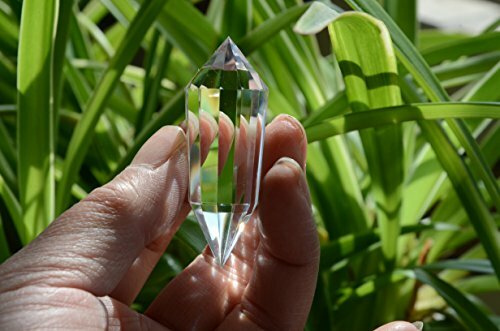 Quartz Crystal elixirs eliminate toxins from our system, and assists with all digestive disorders, clear kidney and bladder infections, and will even treat acute diarrhoea. Clear Quartz applied topically can soothe pain, and is especially useful for burns. The quartz draws away pain and, applied early enough, will help to eliminate blistering. Clear Quartz For Emotional Healing. Clear Quartz acts as a deep soul cleanser. It’s properties purify and enhance our body’s internal energetic structure, and surrounding subtle bodies. Our energetic structure is what connects the physical dimension and the mind. Clear Quartz aids us in the removal and elimination of inner negativity, as well as stimulating positive thoughts and feelings. When we have a more positive perception of the world, the Clear Quartz increases our emotional awareness, and clarity of thought. Clear Quartz enhances energy, perseverance and patience, and teaches us to live, laugh and love. Clear Quartz For Chakra Health And Energetic Balance. Clear Quartz has prismatic vibrational energy, meaning it can utilize the vibrational healing frequencies and energies associated with all colors. This means the Clear Quartz is able to harmonize all of our chakras and help us on the path towards gaining perfect energetic alignment. Clear Quartz is particularly useful for stimulating the Crown Chakra. Our Crown Chakra is the 7th Major Chakra, and is located at the top of the head. Sahasrara the Crown Chakra is the gateway to universal knowledge. Sahasrara is also responsible for how we think and how we respond to the world around us. It is where our beliefs and connection with our spirituality are formed. Sahasrara is our link to the higher planes of existence and connects us with the universal energy and truth. When Sahasrara is in balance, our life and health is in balance. Clear Quartz And The Spiritual Dimension. 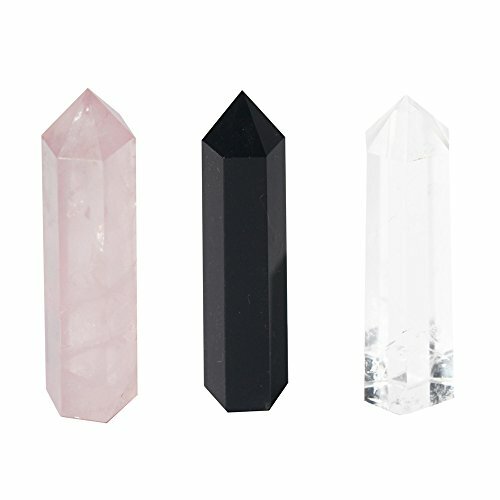 Each Quartz Crystal is completely unique. Every quartz crystal has its own personality, lessons, and experiences. Energetically, it is believed that when we choose a crystal, it is attracted into our life for a reason, and to help facilitate personal growth and energetic awareness. This may occur completely subliminally for many. 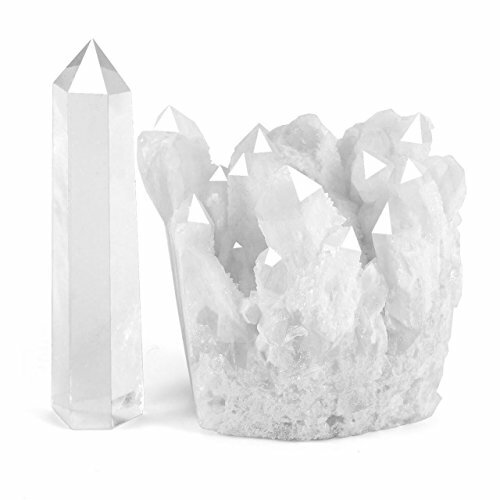 For more spiritually attuned individuals the Clear Quartz act like beacons, and their positive energy calls to us. 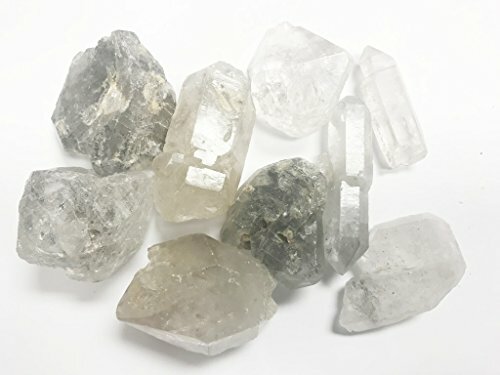 Clear Quartz connects the physical and spiritual, enhances communication with nature (plants, animals, minerals) and brings a sense of purpose to those who resonate with it. Quartz is the crystal connection to the Universal Life Force. It is the physical embodiment of perfect white light. Used in meditation the Clear Quartz helps us to filter out all distractions and clear our mind. It allows us to achieve “oneness” enabling us to enter deep meditative states. 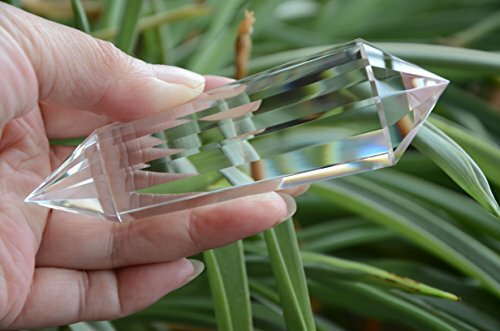 Clear Quartz provides enormous amplification for visualization and setting intent. Healing with quartz crystals also encompasses using the crystals to store intent and magnify energy. Using the same crystal for meditations focused on intent helps manifest reality. Programming Clear Quartz assists us achieve goals in life. It is important to note negative intent attracts negativity. Therefore ensure any programming of intent and visualization for manifestation purposes is positive and enhances your, or others, energetic wellbeing. Clear Quartz is an excellent stone for spiritual health and development. It not only helps to strengthen our connection to to the earth (grounding) but also to our higher self and the divine. 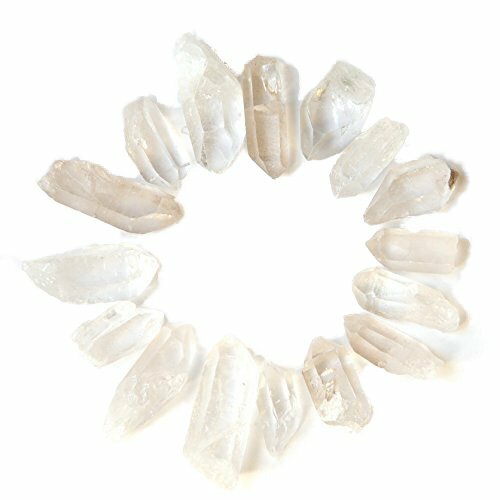 Using clear quartz enhances and strengthens our subtle bodies and aura and is an excellent crystal for chakra alignment as it helps to cleanse, open, activate and balance each of the chakras. 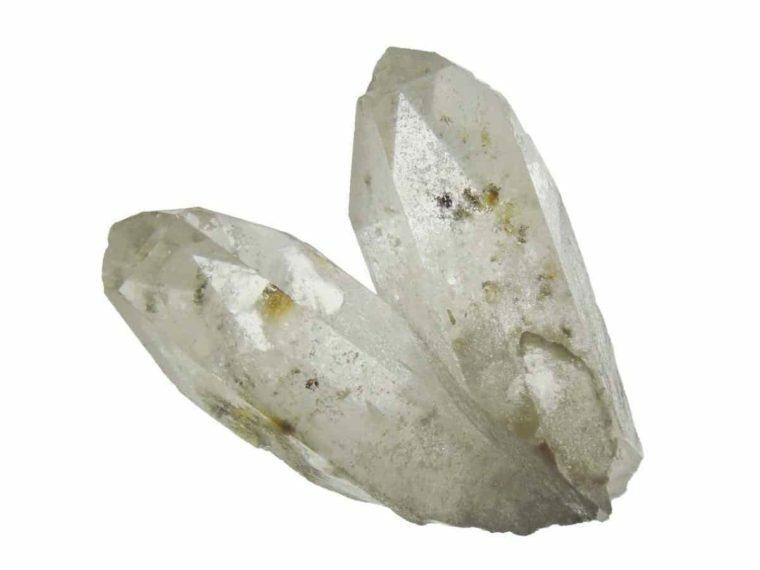 Clear Quartz is an excellent choice of crystal for any energy or vibration healing and can be used during meditation because of its profound ability to enhance and strengthen the aura. 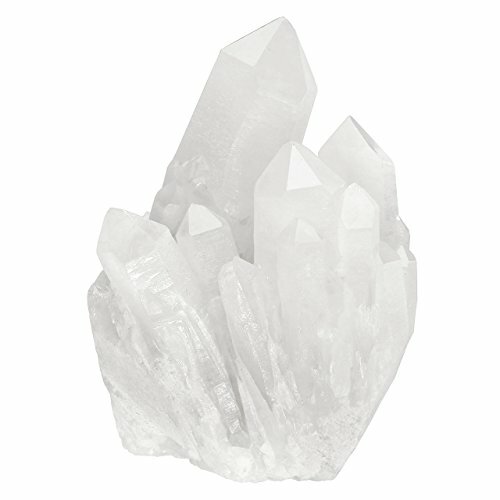 In physical and spiritual healing sessions clear quartz is used to stimulate the entire immune system. This activation and strengthening of the immune system brings a greater state of physical health and balance. 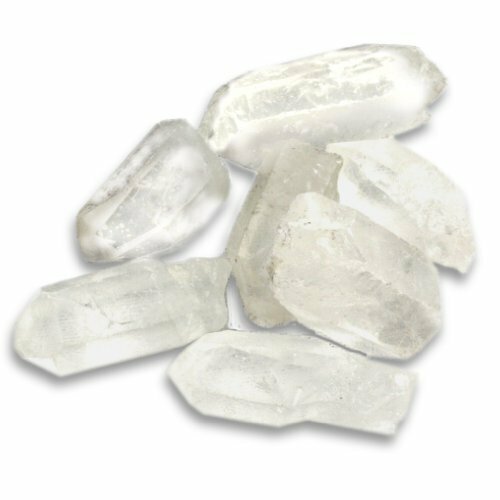 Clear Quartz is well known for its properties of receiving and storage, both in spiritual terms and also in the industrial world. The following is an excerpt from the Minerals Education Coalition. “Quartz is used in many electronic applications because of its special physical properties. Quartz is known to be piezoelectric, meaning that when pressure is applied, a positive electrical charge is created at one end of the crystal and a negative electrical charge is created at the other. It is also strongly pyroelectric which means that temperature changes can cause the development of positive and negative charges within the crystal. These properties make quartz valuable in electronics applications. While some other minerals may have these properties, quartz is used because it is transparent, tough, and of unvarying chemical composition. It is for similar reasons that we can utilize the quartz crystals healing powers. The crystals receive and emit and as such can absorb energy and transmit energy. This also makes them wonderful programming stones. Due to their properties of receiving and storing we are able to place intention into the quartz. The crystals store and then amplify these intentions and magnify their energy enabling manifestation (Laws of Attraction). In energy or vibrational healing sessions the crystal can also be programmed with intention. The energy healer can therefore programme the stone to heal specific conditions or symptoms and this intention is magnified and enhanced as energy to manifest when received by the recipient of the healing. Once cleansed you should charge your crystals with purpose and intent to bring about manifestation. Other Metaphysical Uses – Quartz Crystals Healing Powers Explained. Facilitate, enhance and remember dreams. Develop higher levels of perception and intuition. Clean, cleanse and balance all chakras and aid the higher chakras in emitting pure white light. Promote remembrance of forgotten memories and past lives. Balance the subtle bodies and promote connection to the divine. Clear Quartz is most closely aligned with the 8th Chakra – the Soul Star. The Soul Star Chakra is believed to be the point where the divine light enters the physical and subtle bodies and flows into the crown chakra. 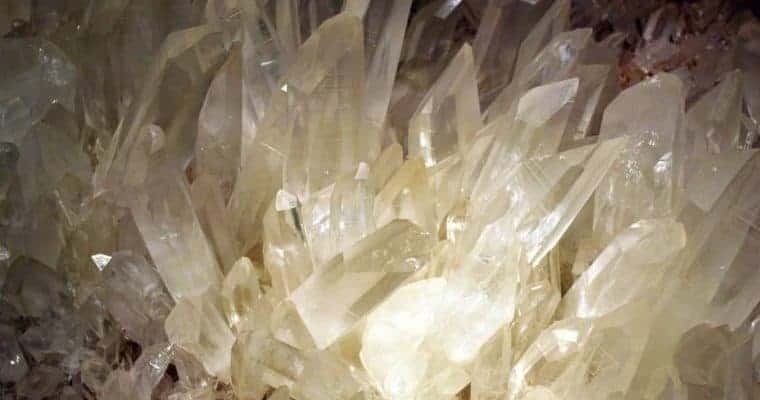 Therefore whilst Clear Quartz crystals work on all chakras and in all healing situations they are particularly strong for strengthening connection with the higher level energy centers of Ajna, Sahasrara and the Soul Star. 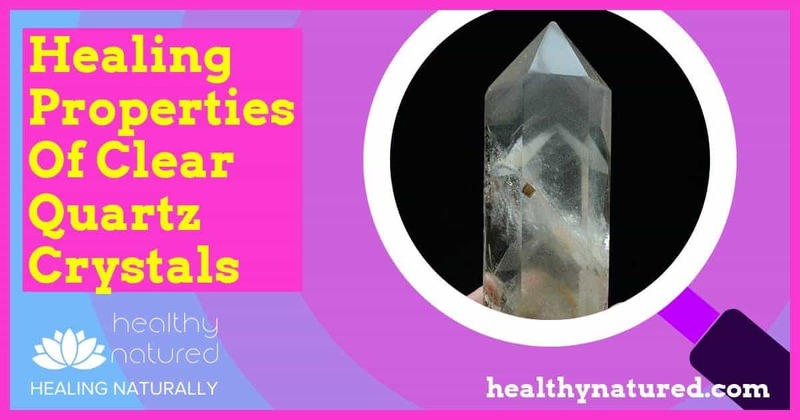 I hope this guide to the clear quartz crystals healing powers has provided you with the information needed and that you will add the clear quartz to your healing kit, your home and your life. Maybe you could explain why quartz being on similar vibration to humans means that it can help with healing. Where does the power come from, for this healing? In the above comment you say to cleanse in salt.. why salt? The quartz vibration, being similar to humans, means it attunes our vibration pattern much more easily than some other crystals. The quartz vibration itself doesn’t change, it aligns and changes our vibration pattern back to the natural and correct vibration. This means that any illness and energy imbalance is cleared by realigning our bodies correct vibrational frequencies. Salt, being crystalline in structure, is super absorbent (in a similar way as you notice it absorbs water). the salt draws out and absorbs the stored energies in crystals (not just the negative…it absorbs all the stored energy) meaning the crystal is neutralized and cleansed ready to be reprogrammed for other use. Super wicked article, thank you. Crystal are beings of frequency and vibrations, they are totally in tune with the planet and with their owners. 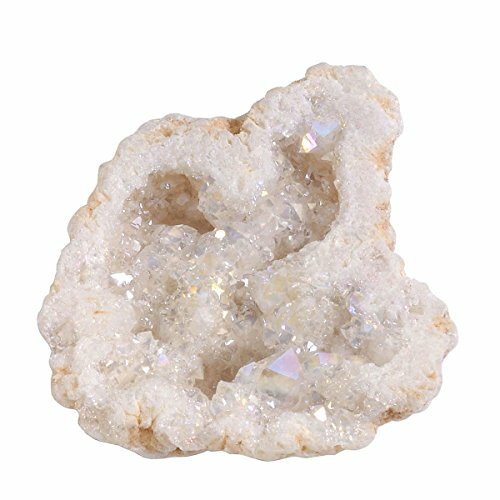 I had few chackras cleansing using clean quartz and i felt so good after it. I have one hanging from the roof of my yurt and one in my vegetable garden. Also i made a cloud-buster where a big quartz on top of copper tubes helps to keep the sky clear of chemic trails. Love tour post and web site, thanks for sharing. Many thanks for your comments. I love the crystals also and have them in specific locations around the house and on me. I’m interested in your cloud buster, as it’s something I’m keen to set up here at home. Hi, I have a question. Can the crystal quartz only be programmed by an energy healer or can anyone do this? Quartz crystal can be programmed by anyone. Once you have your quartz you need to clean and cleanse the crystal to remove any stored energy. Quartz crystal can be cleansed in salt water or in salt. I appreciate your comments and glad you found the post informative.